Delegates of Germany, Egypt and Turkey were to be called as well. However, Berlin did not respond, while Cairo and Ankara were not invited in the end. The Turkish experts conceive it to be result of Turkey’s conflict with Kurds as this “could affect negatively outcomes of the Washington meeting”. 6) Possible supply of low-yield nuclear weapons for use in regional conflicts in the Middle East. According to experts, the format of meetings of Washington, London, Paris, Riyadh and Amman takes stable character. The likewise negotiations were held in Paris on January 23. Following the results, Reuters news agency published “unofficial list” containing a political plan developed by these 5 nations. formation of two parliaments with the government’s power; this will bring the most of public institutions under control of opposition. The official response of Ankara was not verbalized. However, it is believed that the Turkish authorities consider the plan as “a secret Sykes-Picot level agreement which was adopted after the First World War and collapsed the Ottoman state”. As media say “actors change, but anger, hatred, a thirst for partition that goes back centuries does not stop!”. In year 2015, the Turkish leader R. Erdoğan warned at the summit of the Organization of Islamic Cooperation: “When the Islamic world keeps silence and each group supports own adherents this is being used by others: terrorists and modern Lawrences of Arabia”. By mentioning the name of Thomas Edward Lawrence, better known as Lawrence of Arabia, the Turkish President recalled the role that played Lawrence in the struggle of Arab separatists against the Ottoman state. In the spring 2017, speaking to youth organizations in Istanbul, Erdoğan also addressed this topic saying that nowadays, like 100 years ago, there are attempts made to redraw the map of the region. According to Erdoğan, “today we are dealing with "modern variations of Lawrence" that try to be like imams and scientists. Hundred years ago, a secret agreement was signed by Sykes-Picot. Offscreen discussions are held today as well”. For this purpose, according to the Turkish leader, terrorist organizations are used. Also, the Turkish leader noted that today the Europeans themselves are not considered with European values either. “We are going through a time when generally accepted legal norms are ignored. From the actions of terrorist organizations such as the ISIS, the Syrian wing of the PKK (YPG) and the movement of F. Gülen (FETÖ), it is the Muslims who suffer most of all”, Erdoğan stressed. It has long been said by some Western politicians and political scientists that the “Sykes-Picot Agreement” is allegedly “out of date”. For example, several years ago B. Mandelson, a professor of political science at Harvard University, on pages of the authoritative Foreign Affairs magazine proposed explicitly to prepare a plan for the partition of Syria and Iraq. According to Mandelson, the Sykes-Picot Agreement, which was developed almost a century ago, lost its significance, and, in his opinion, few people believe that Iraq and Syria will remain the same. Mandelson expressed surprise at the fact that the United States still adhere to the points of the agreement. 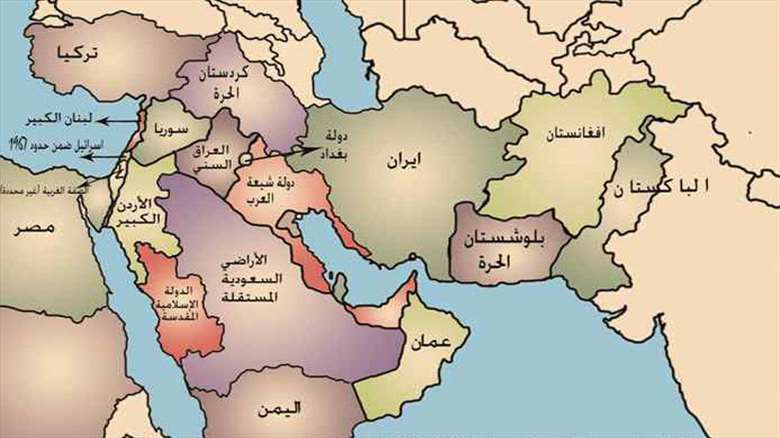 Even then experts noted that feeding about the new partition of the Middle East could become a prologue to the real redrawing of this region and its borders, which is a dream of certain powers. And this is not a “delirium of conspiracists” since various serious figures discuss openly about such plans. For instance, in 2015, the former CIA agent B. Stewart unequivocally stated that “only four Arab states can avoid collapse”. According to Stewart, Tunisia, Egypt, Algeria and Morocco are the countries that able to remain united. In turn, in 2016, the former director of CIA M. Hayden in his interview to CNN also noted that international agreements that were concluded after the Second World War began to lose force, and this will change the borders of some countries in the Middle East. According to him, now there is a destruction of borders which were drawn in compliance of the Sykes-Picot Agreement. Hayden argued that there are no more Syria and Iraq. These countries will never be the same, and such destiny can await both Libya and Lebanon. The French media believe that sooner or later the Americans will have to leave Syria where they are “in an uncomfortable geopolitical situation having local Kurds as the only and fragile ally”. In order to prevent such an undesirable sequence of events, it is important for Washington to “transform the Syrian crisis into a large-scale regional conflict involving clashes between Iran, Saudi Arabia, Turkey, Qatar and Israel”. That said, considering the links with Russia and a big role in the Astana peace process, the Turkish authorities will be obliged “to choose” under the “pressure of the Kurdish factor”. This is the scenario that the US State Department is currently working on trying to persuade it through the intensification of contacts with Turkey to reach an agreement on the issue of territories to the west of the Euphrates.